I saw this on PriceTags and was instantly enthralled. I haven’t tried to embed a facebook video on here before – and over there it did look a bit different. But the reason for posting this is as an antidote to the sort of scoffing we hear far too often here about initiatives like allowing city residents to keep chickens in their back yards. 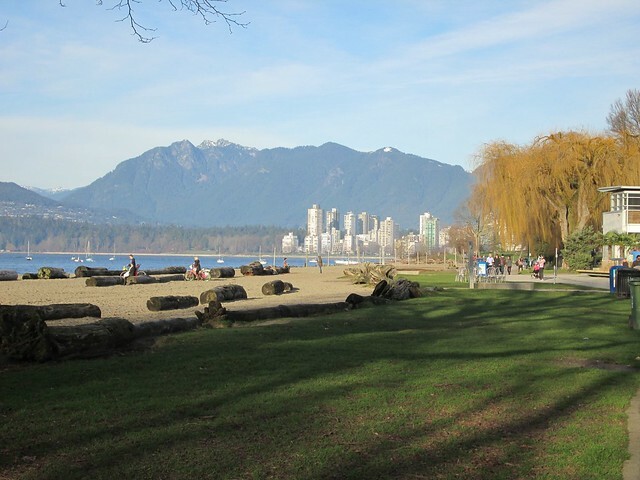 This blog tends to get embroiled in transit and transportation but that is actually only one small part of what makes Vancouver such a great place to live in. This story goes back to London, where christian evangelist advertising on buses prompted atheists to have a whip round for some riposte ads of their own. Actually in atheist circles the word “probably” itself became controversial. Ariane Sherine started the campaign after noticing ads on London buses that led curious readers to a website that suggested non-Christians would spend eternity in hell. Initially, Sherine hoped to raise enough money to post ads on 30 buses in London. The campaign received enough donations to buy ads on 800 buses across the U.K. There is now a group who wants to do the same thing in Toronto – it has already spread to Washington, Barcelona and Madrid. So I posed the question to Ken Hardie – would such ads offend the rules in Vancouver? Because, as far as I know, we have not been bombarded with hell fire and brimstone from religious groups in bus ads. But then maybe I missed them. The ads I tend to notice seem to concentrate either on pushing high priced loans – or debt counselling (which is nicely balanced). nobody should have to deal with that kind of abuse. system during the last federal campaign. Except of course these are not political ads but religious ads – or more properly anti-religious ads. Because atheism is not a religion or even a belief system. It is based, as Jon Stewart likes to put it, on rationalism. As long as there are not ads on buses pushing religion then we don’t need the opposite either – so the whole thing should be moot. Let’s hope it stays that way. Because the only car cards I enjoy reading are Poetry in Transit. 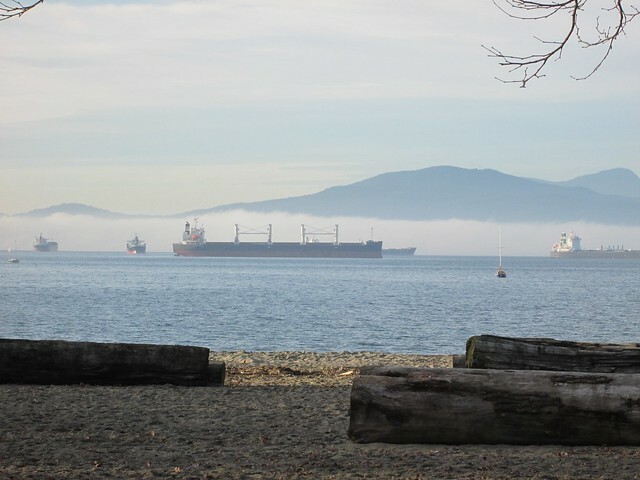 Metro Vancouver has a long way to go before it can call itself a livable region. Why are we further committing ourselves to car orientation? Building roads just adds to the problem we’re trying to address, and just think of the transit service $3.9 billion could buy. Driving, shopping, advertising, consumer culture, Hummers, sprawl, it’s all here. Our addiction to the status quo is quickly working against our needs for community, complete infrastructure, and efficient ways of getting around. What in the hell are we doing? Thanks to everyone who lent their time and effort to help make this possible. Share this if you find it interesting, and feel free to embed. Please comment! I appreciate your feedback. The website ClimateDenial.org, which “explores the psychology of climate change denial with observations and anecdotes about our weird and disturbed response to the problem”, has been inviting visitors to send in their best examples from around the world and, surprise, surprise, the motoring industry has been generous enough to dream up the majority of candidates for “Best in Show”. This of course ranks right up there with the ads for cars that featured a bus with the destination sign “Wet Dog Smell” and the recent Ford offering “Drive it like you stole it” which is offending Canadians on the Prairies. Car ads have never been about reality. Indeed I think a lot of road rage is underlain by the subconscious feeling of let down. ‘ I bought this thing and it cost me a fortune and it isn’t making me any happier. But of course that’s not my fault so I will blame it on that silly twerp in front of me who has left his left blinker for the last three kilometres.’ Cars were supposed to give us freedom but they brought us servitude. The lifestyle we bought into did not include being stuck in traffic. Or feeling dinged at the gas pump. Or sitting around in a seedy body shop waiting for the dings to be knocked out of the fenders. In one car ad the traffic actually magically disappears completely. In others the car becomes jet plane. We know this is nonsense but we get suckered in by it, then feel annoyed by being taken in so easily. And the sense of entitlement and empowerment of driving a really fast car goes to the heads of the socially inadequate who have no conception that their thrill of wheel screeching acceleration and getting to the traffic light 2.5 seconds before that geek in the minivan is actually a real threat to the health and safety of all about them. But that doesn’t stop the company that sells basic family transport as “zoom zoom”. And they are owned by Ford too. And of course you do know that Henry Ford was a nazi, don’t you? This should link to another WordPress blog on transit, which has some US figures comparing the cost of using a car and transit. What makes this relevant to readers of this blog is that our media is currently full of stories about the transit fare increase here. And this aspect, of course, was not covered at all. ( Or perhaps was not covered by the sources I have checked so far.) Now the media types will of course point to pressure on space and time. Even though most media have been filling up on reviews of the year and even more agency clippings than usual, to cover for staff holidays and the subsequent news shortage. But there is also a sneaky suspicion that I have that local free newspapers utterly depend on adverts – and the CBC looks just like a commercial tv station with its frequent interruptions of every program for commercials. And a big slab of those come from companies that make or sell cars or the fuel for them or bits to keep them going. It is not often that these ads slag off transit (remember the “wet dog smell” bus sign in a GM ad published by the Straight last year?) but that does not stop the news side of the business picking up all the bad things it can associate with transit. The worst bit of the story on the CBC last night was the dramatic improvement that Translink is now claiming for its approval rating. Apparently the comparison made by the Translink report was with the year of the bus strike. I watched “Citizen Kane” again this week. Back at the end of the last century, many more people in major cities were dependent on transit, which was run by a private sector concern. So for a new young publisher, stories that targeted the “transit trust” were sure to sell more papers. Things don’t change that much.